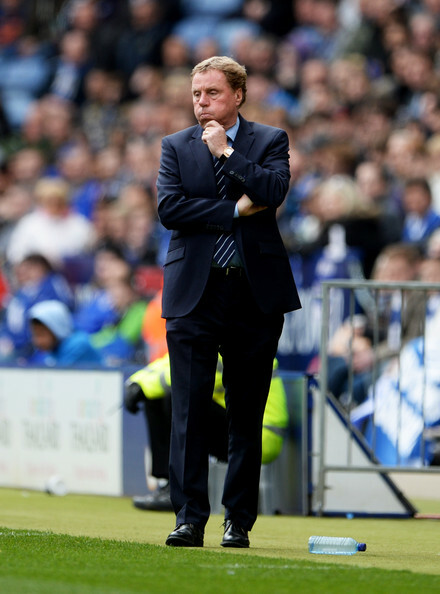 he might not like it, but sherwood will (hopefully) be replaced as spurs manager this summer… but by who? With the Premier League season all but complete — our relegation sides now identified and the Champions League clubs now set, only some relatively meaningless shuffling of table places and the naming of a champion yet remain — many supporters’ thoughts have drifted on to question and speculate on their clubs’ summer dealings. How will they look to strengthen for the new season ahead? The comings and goings of both the playing and managerial staff tend to be the primary focus of those musings, and things are no different in the N17. And with disappointing season for Tottenham Hotspur Football Club playing the role of precursor to what is likely to be another summer of upheaval at White Hart Lane, changes are certainly coming. But with a £100 million-worth of player moves dominating Spurs’ movements in the last summer window, it’s a safe bet that the most prominent move the club will make this summer will be on the management front. 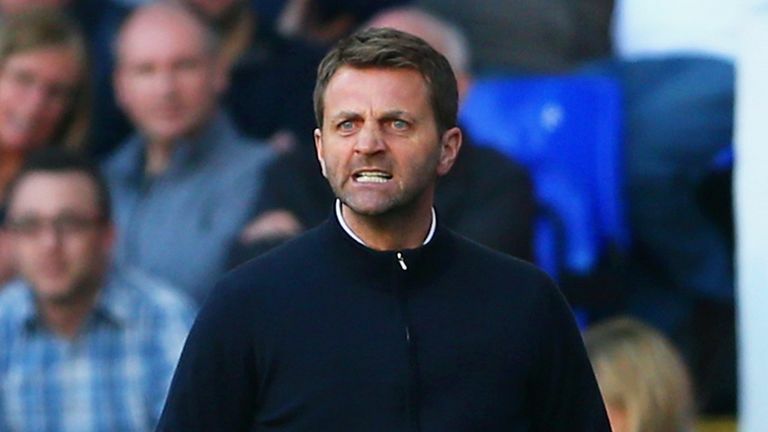 Of course in order to do that, Spurs will first need to ax current interim manager, Tim Sherwood. But as has been long speculated — pretty much since the day of his midseason appointment — Sherwood’s days are most definitely numbered. While that’s never been outright said by Levy or the club, the writing has pretty much always been on the wall. Sherwood was never going to be anything more than a makeweight as Spurs waited for a deeper managerial pool to open up in the summer. At least that’s what I’m hoping. Because no club that truly harbors Champions League expectations should ever appoint their youth team coach with no first team management experience as the boss… right? Anyway, speculation about Sherwood’s eventual dismissal has really amped up over the last few days, and it got me wondering: who would Spurs bring in to replace Tim? So in an effort to calm my nervous fears that the club is imploding, I figured it might be worth a look at the current candidates being mooted as favorites for the job. I don’t know that there’s actually a “perfect” manager for Tottenham, but legendary Dutch manager Louis van Gaal comes close. Louis’ resume is easily the most impressive of any of the mooted candidates, and he’s the class of manager that many have long-desired at White Hart Lane. His teams are known for their commitment to attacking, which something the Spurs faithful will more than appreciate. Plus, van Gaal’s fiery, no-compromises personality might be exactly what’s needed out of this talented but under performing group of Tottenham players. And though he was the early front-runner for the position, the opening up of a more lucrative and high profile job in the Premier League means his arrival at the Lane is now hovering just above zero. The only way I can see van Gaal on Spurs’ sideline next season? If Guardiola’s relationship with Bayern takes a turn for the worse and United shift their attention to the Spaniard. Definitely one of the managers in vogue in English football at the moment, current Southampton manager Mauricio Pochettino has long been one that Spurs fans have kept an eye on. Like van Gaal, Pochettino’s offensively focused ethos fits well at Spurs. His Saints’ side have played some truly electric football at times during his reign, and he’s also managed to get the most out of a crop of players that graduated from the club’s vaunted academy. 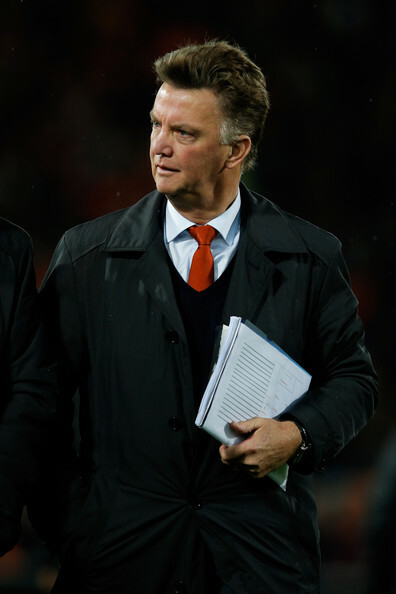 But, the Argentine is light on experience and has only worked in English football for a short period of time. And given Tottenham’s lofty expectations, naming a manager that has never gotten the job done himself could prove an unwise decision. A former favorite for the Spurs manager’s job back before AVB was hired, Moyes seems like a very risky pick. On one hand, he’s just come off a disastrous spell as Manchester United manager. And if he couldn’t cut the mustard at a club with the Red Devils’ resources, I’m not sure that I want him at one like Spurs. But on the other hand, his year’s of overachievement on a limited budget at Everton says that he has to must have a knack for it that somehow didn’t shine through at Old Trafford. And as a bonus, he’s the only manager on this list that isn’t currently employed. That said, if I were picking the next man in charge, I wouldn’t go anywhere near Moyes. He seemed a broken man during his final days in Manchester. His football is too pragmatic and negative for Spurs supporters. Plus, I’d guess that in order to get the reportedly massive severance pay off from United, I’d imagine he’s not allowed to work for a minute either. If van Gaal was the original favorite for the Spurs hot seat, his countryman and predecessor at Ajax is easily the new favorite. Hot off the heals of his fourth straight Dutch title — a feat that’s surprisingly never been pulled off before — at Ajax in just his fourth year as a manager, calling de Boer a hot commodity doesn’t really do him justice. And much to the Tottenham fan’s delight, de Boer’s Ajax has been a very fluid attacking side that’s managed not just domestic success, but also restored some of the club’s pride with some big wins over European giants in recent seasons. 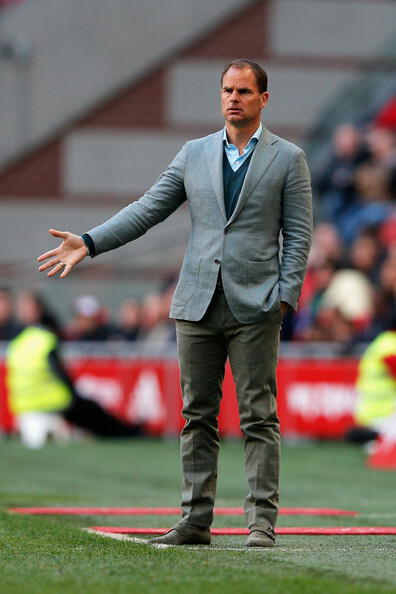 But, much like Pochettino, de Boer’s resume is a little on the short side. And success in Holland is hardly an indicator of potential success in England, at least on the playing field. That said, he has managed to get the best before out of a couple of Tottenham’s most prized assets in Christian Eriksen and Jan Vertonghen. If I were a betting man, I’d put my money on Frank taking the reigns at White Hart Lane next season. The only man on this edition of my Tottenham managerial candidate round up that was also on the list two years ago? The Fat Spanish Waiter, Rafa Benítez. The former Liverpool manager has made no secret of his desire to once again coach in England, even after Chelsea cut him loose despite winning the Europa League for them. And with a lengthy resume and some impressive accolades to his name, on the surface, Rafa would make for a decent candidate. 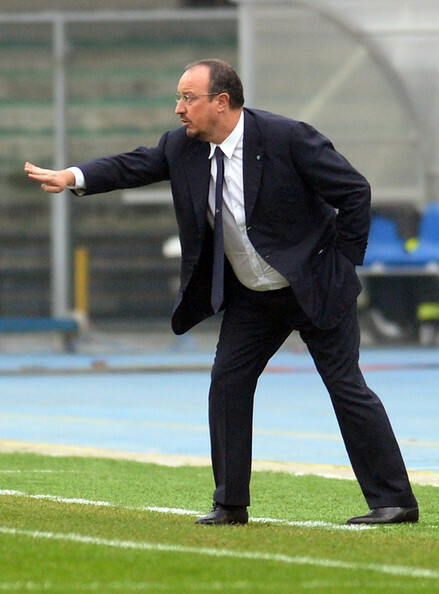 That said, unless better options aren’t available, I don’t want Rafa at Spurs. For one, he’s always valued defensive solidity over offensive prowess. But secondly, he’s not proven himself to be very adept with signings and youth players. Would he be the worst appointment in the world? Not at all, but I’d rather have a de Boer or Pochettino first. No. Absolutely not. I don’t care that he was the last (only) manager to get us into the Champions League, or that he once saved us from not-so-certain relegation. The loss of focus on Spurs with his England lusting and blowing “the gap” is still too big of a sin for me to forgive. Besides, he’s somehow managed to not earn automatic promotion back to the Premier League despite having a side with a wage bill larger than Borussia Dortmund or Atletico Madrid. That’s hardly enough to convince me he deserves another shot at Spurs. Roberto Martinez (Everton) While I would love Roberto at Spurs, his showing at Everton means that his next job will likely be at a club larger than Spurs. Murat Yakin (FC Basel) The Turkish-descended Swiss manager has achieved amazing things with Basel, but the Swiss league’s status as a “lower league” might be too much of a handicap to overcome. Jurgen Klinsmann (USA) The former player’s name is routinely linked with Tottenham jobs, but having just re-upped with the USMNT, it’s pretty unlikely we’ll see him “dive” back in to White Hart Lane. Glenn Hoddle Another former Spurs’ legend, but Hoddle hasn’t worked in management in ages. I think that’s reason enough to stay far, far away. Cesare Prandelli The current Italy coach has already ruled himself out of the job, so I think it’s fair to say we should too. So who’s going to take the job? Your guess is as good as mine. But I’ll tell you this much, it’s completely ridiculous that I have to write this article again… it’s been just two years since I had to write the last one!